Women's cultural emancipation appeared in costume before politics. By the 1890s, Victorian women cyclists were wearing divided skirts or bloomers. Yet female equestrian attire rigidly held to the side-saddle skirt for two more decades. After WWI the European landed aristocracy fell into rapid decline, as dramatized in Downtown Abby. It became acceptable for women to ride astride. 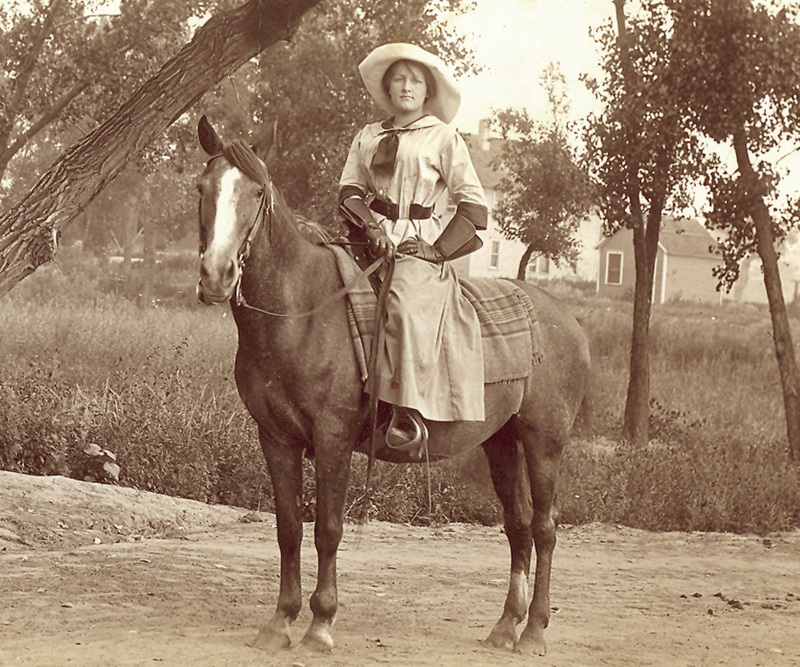 In America the cowgirls of the West had long since ditched the restrictive side-saddle style. 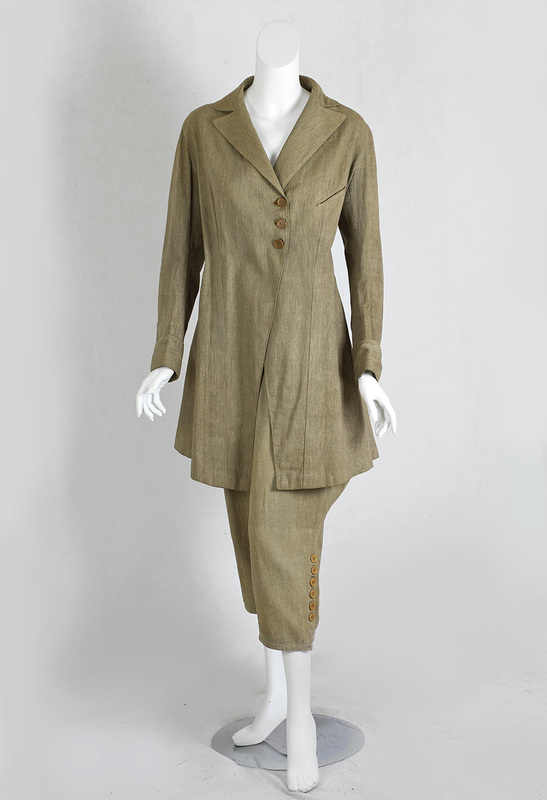 Our two-piece riding habit is fashioned from olive colored linen. 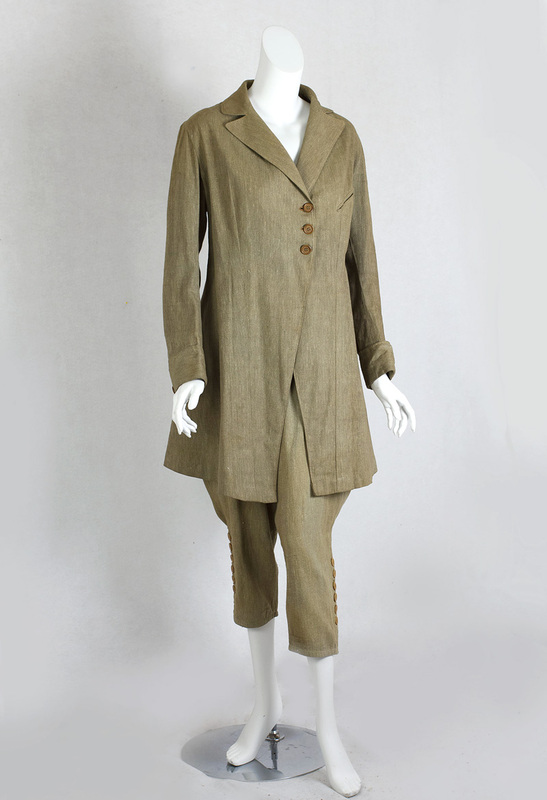 The long jacket covers the baggy tops of the jodhpurs underneath. In back the shapely jacket has a deep, to-the-waist vent and is man tailored with a notched lapel and diagonal breast pocket. The hem is weighted in several places to ensure it hangs properly. 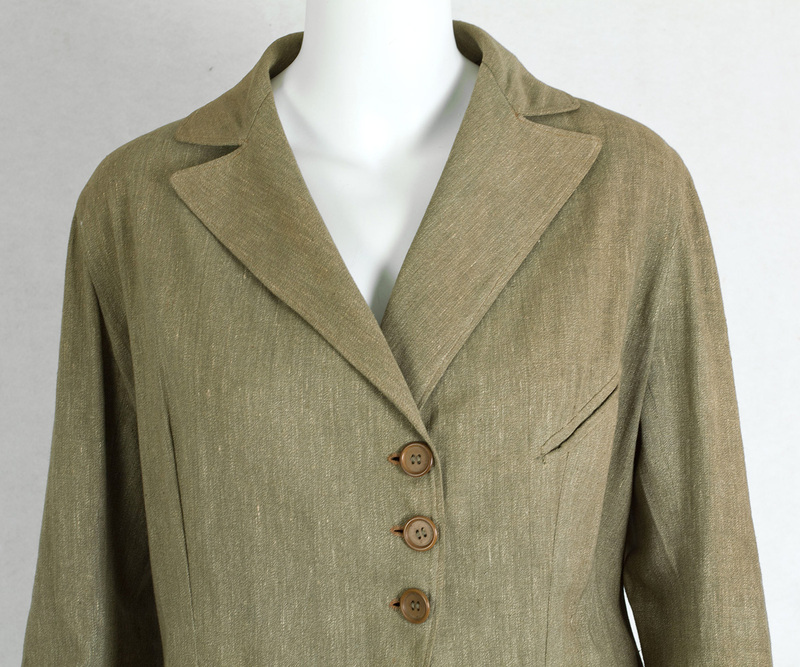 The jacket closes with three front buttons. 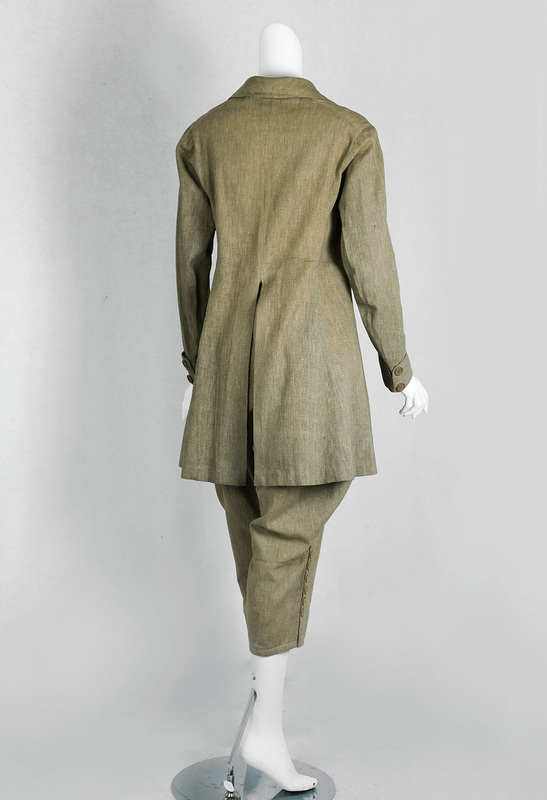 Below the knees of the jodhpurs are slender legs that close with buttons on the side. 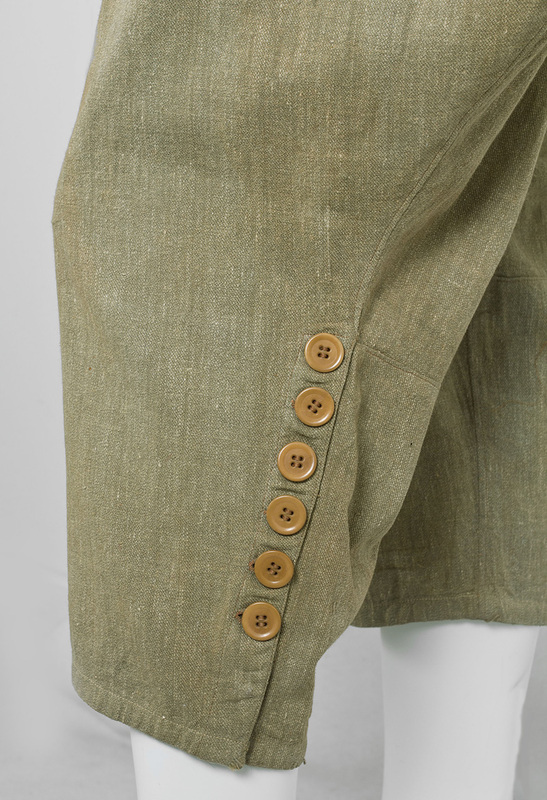 The waistband closes on both sides with buttons and snaps. What a remarkable historical artifact at a great price: a valuable collectible and an eye catching wearable! You don't even need a horse to wow them in our smart riding habit. Great style is never out of date. The condition is almost excellent. The slight color variations in the fabric are more apparent in the pictures than in person. 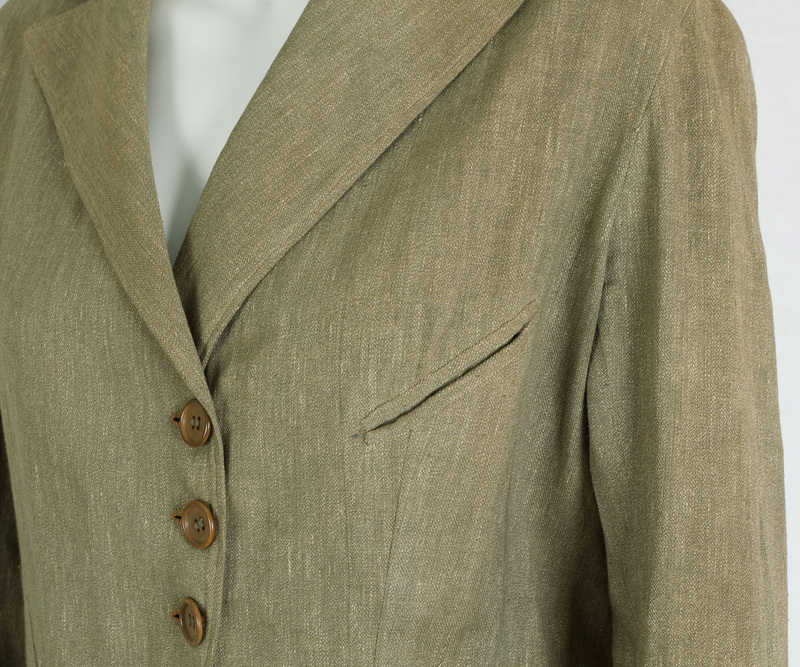 The jacket measures: 42" bust, 40" waist, 46" hip, 23" sleeve length, 18" from shoulder seam to shoulder seam, and 36" from shoulder to hem. 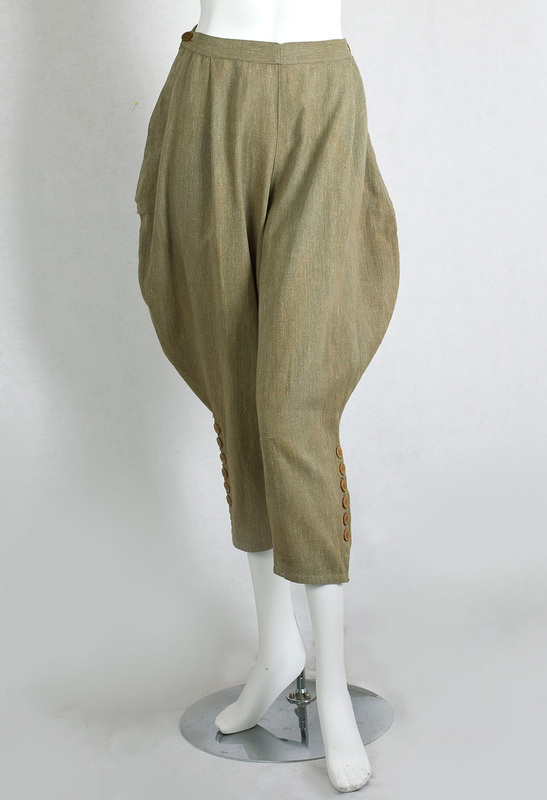 The jodhpurs measure: 30" waist and 34" length.